If you’re considering trying kava, there’s a good chance you’ve had a friend recommend it, walked by a local kava bar, or maybe you’ve already purchased kava online. No matter where your interest in kava comes from, you probably have a number of questions about kava and its effects you’d like answered before you start regularly buying kava powder or sit down for your first shell. With that in mind, the team at Bula Kava House would like to offer you a few tips with our beginner’s guide to kava. While drinking kava can have different effects depending on the person and type of kava enjoyed, most people experience a calming effect that results in feeling relaxed with a general sense of overall pleasantness. Chemically, kava has a similar effect in altering brain waves as relaxing medications like Valium. The calming effect drinking kava has on the body is commonly associated with drinking alcohol, but without the nasty hangover or nausea that drinking too much wine, beer, or Jägermeister can cause. The type of kava you drink also influences the type of effects you’ll feel. Take a look at our Bula kava menu and you’ll see a variety that ranges from mild to intoxicating. Borogu, for example, is a great first-time kava that will help you feel relaxed while still staying alert, perfect for a night out with friends. On the opposite end, we have Nangol Noble Kava, one of the strongest kavas this side of the South Pacific and a great reason to order delivery. So if you’re looking for something to help you relax after a long day at work or school, or you want to get into the mood to binge watch season two of Stranger Things, there’s a kava for every occasion. How do You Drink Kava? Unlike a fine wine that deserves to be sipped and savored, kava – like a $1 PBR during happy hour – is best enjoyed when drank quickly. While the taste of kava – which we will cover shortly – certainly precludes it from being a sipping beverage, enjoying the drink’s full effect requires getting it into your system as quickly as possible. By drinking kava more slowly, there’s a chance you’ll lessen the effectiveness or not feel anything at all. If you make a batch of kava at home by following the instructions provided on the packaging, you’ll also be making more than just one shell’s worth. Depending on the strength and potency of the kava you’ve brewed, you may need to drink more than one shell to feel the desired effects. Whether it takes one shell or two, nobody drinks kava for the taste. So get the relaxing sensation you want by stepping up and shooting that kava down. See our How to Prepare Kava video guide here! How can I Improve the Taste of Kava? It’s no secret that one of the biggest obstacles in becoming a kava connoisseur is the natural taste of kava. 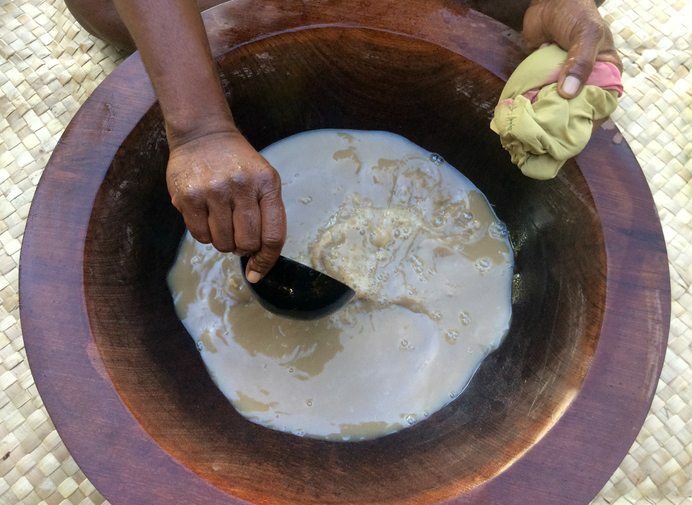 While it’s difficult to properly describe the taste of a freshly prepared shell of kava, the terms “earthy,” “piney,” and “peaty” are commonly used. Of course, that’s just a polite way of saying you’re about to drink a cup of mud water that tastes like it was filtered through a bag of compost. While that may all sound unpleasant, many dedicated kava enthusiasts grow to really enjoy and savor the natural flavor of different kavas. Some types of kava varieties, especially those from Fiji and Tonga, have a milder taste that’s more approachable for first time kava drinkers. But if the flavor of kava really prevents you from enjoying its many relaxing benefits, there are a few things you can do to improve the taste. A common tactic many kava lovers use to cover the taste is to cleanse the palate with a chaser. Citrus fruits like pineapple, lemon, and lime can help to neutralize the bitterness and improve the aftertaste. If you prefer something a little sweeter, candied ginger, dried cranberries, and even dark chocolate can all help the medicine go down. You can even mix your kava with almond milk, herbal tea, or ginger ale if it will help you to better enjoy the kava experience. While some kava purists might disagree, there’s no wrong way to enjoy your kava if you want it to taste a little better. A quick Google search of kava will turn up a lot of results that address the many wonderful benefits kava can provide, but it also highlights reports that indicate drinking kava may be linked to liver failure. These reports can be traced back to a 2002 Food and Drug Administration consumer advisory that warned about kava containing products having a potential harmful effect on the liver. Unfortunately, the science used as a basis for the FDA’s reports now seems questionable, making the negative claims of the dangers of kava completely unnecessary and untrue. In fact, a quick search of the National Library of Medicine’s clinical database on drug-induced liver injury shows a number of studies that contradict reports of kava induced liver injury. The studies in the database actually suggest that kava contamination was the cause of liver toxicity, not kava itself. To be clear, drinking contaminated kava that contains trace amounts of aboveground plant parts, yeast and mold, or even bacteria can be a serious health risk. That’s why we test every batch of kava we receive from our suppliers at Bula Kava House to ensure they are both pure and contaminant free. The risk of kava contamination makes it important that you only purchase kava from reputable distributors that test their products. 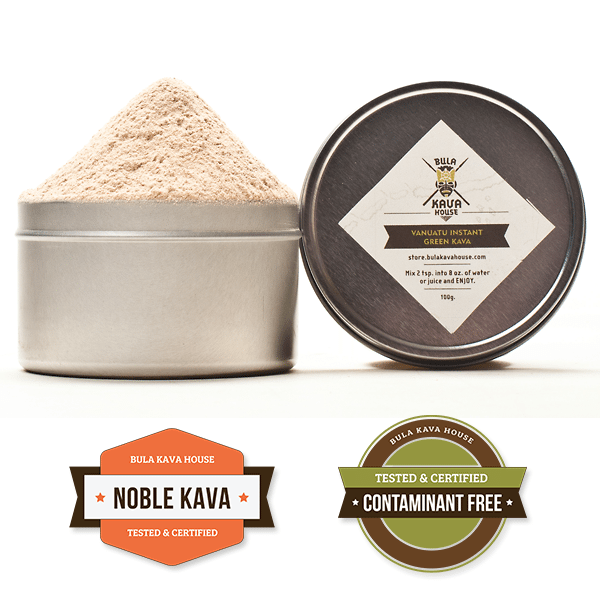 Every ounce of kava you can purchase from Bula is guaranteed to be tested and contaminant free. Don’t jeopardize your health by settling for anything less, no matter where you buy your kava from. Can Kava Help You Relax? Studies have found that kava’s relaxing effects may help in relieving stress, as well as sleeplessness and muscle pain. In one study, conducted by researchers at the University of Surrey, it was found that participants suffering from insomnia who took 120mg of a kava supplement once a day for a week showed reduced stress levels and improved sleep. Another study from the University of Hertfordshire found that just a single dose of kava extract taken by participants who had never consumed kava before was able to both boost their mood, increasing “cheerfulness,” while also improving their attentiveness and short-term memory retrieval. We hope this beginners guide has helped answer some of the questions you may have about becoming a future kava fanatic. 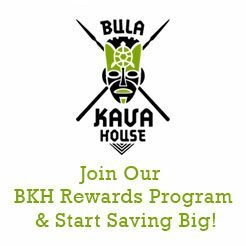 While it may take some time to find the right type of kava for you, our team here at Bula Kava House is convinced that once you start enjoying the many benefits that kava has to offer, you’re certain to become lifelong fan.